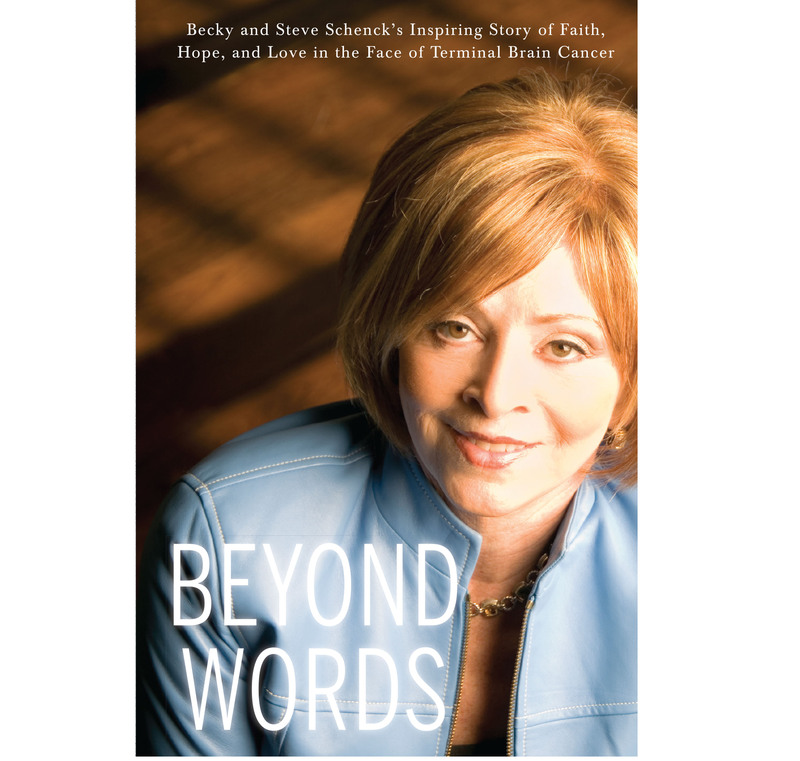 Beyond Words is a couple’s true, inspirational story of faith, hope, and love in the face of terminal brain cancer. Absolutely nothing can prepare you to hear a doctor utter the unthinkable words, “You have brain cancer.” Becky and Steve Schenck know this all too well. They will never forget the summer day in 2006 that abruptly changed the course of their lives. Becky, a healthy, active, vibrant woman in her fifties, was living life to the fullest. Her glioblastoma diagnosis struck without warning. The story that unfolded for the Schencks following Becky’s diagnosis is nothing short of remarkable. The God in whom they believed and trusted aligned their circumstances and provided them with the people and resources that Becky needed to defy all odds. She was blessed with a decade of life beyond her prognosis. Steve left his executive banking career to become Becky’s sole, full-time caregiver. The caregiving experience brought Steve joy and personal growth, in the midst of often challenging and unpredictable circumstances. Beyond Words offers inspiration and helpful insights to those who are caring for a patient with a terminal illness.